A Bob's Life: Can you spell C-O-L-D? It was 7 degrees yesterday morning when I woke up. 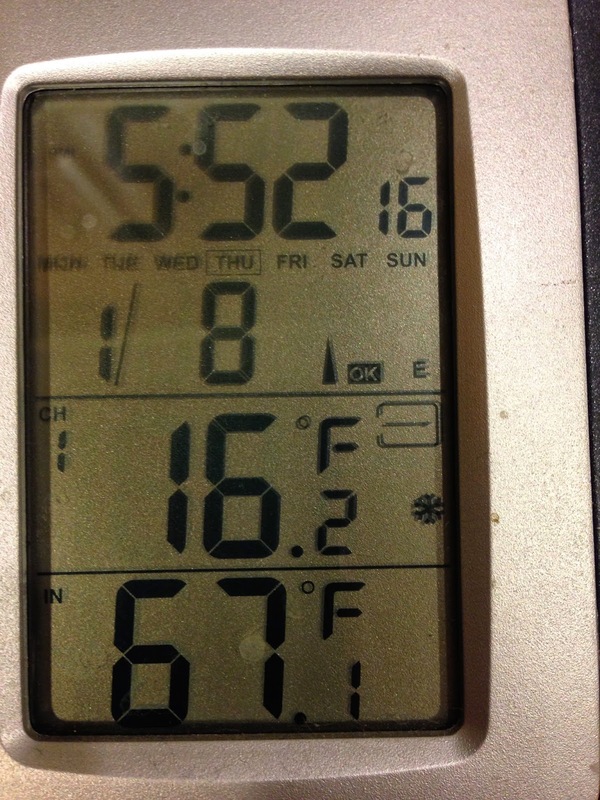 I warmed during the day and when I came home last evening it was all of 16.2 degrees. That was at 5:52 PM, I'm told the high crested at about 19 degrees. The ice in the driveway is still there. We bought salt finally last evening to help the ice disappear so we could be assured of not running through the garage door because the cars could not stop properly on the ice. The forecast for the next 10 days shows the high to be 38 degrees--but not until Saturday, January 17th. Amazingly, the temperatures climbed overnight to a balmy 23 degrees this morning! Perhaps the forecast is changing? At least the high for today is now supposed to be above freezing! Come on. Let's have some warm weather back.